If you own a Sony RX100 series camera, you know that it excels at shooting video. It’s pretty remarkable to get video footage of this caliber from a point-and-shoot. In fact, the RX100 can easily compete with a DSLR. But even the very best camera can’t ensure that your footage is the best it can be on its own. A good gimbal will dramatically improve your footage but not every gimbal will fit the RX100. Because the RX100 is both lightweight and compact in size, you have to be careful when buying a gimbal because it will not work well with many popular models. Check out this list of the five best gimbals for the Sony RX100. The RX100 is one of the more compact and lightweight cameras on the market and this opens up some unique possibilities in a gimbal. Some gimbals, like the Pilotfly C45, are designed specifically for compact cameras. This is an advantage when it comes to transport and packability as well. You get a nice little carrying case for the gimbal but you could also fit it into a nice camera bag since it doesn’t take up a ton of space. This makes the C45 plus the RX100 a great travel photography pairing. According to Pilotfly, the C45 can handle a max payload of up to 800 grams. This is more than enough to handle the 240 g of the RX100 even when you add on some kind of accessory like an external microphone. You don’t get a full 360-degrees on all 3 axes with the C45 but it comes pretty darn close. You get a 320-degree Tilting Angle, a 320-degree Rolling Angle, and a full 360-degree Panning Angle. This will be plenty for the overwhelming majority of shots. A great feature of the C45 is that it has a 45-degree offset angle that lets you see your RX100 screen while shooting. This is super convenient and gives you a lot more flexibility. Operation of the C45 is pretty simple, even if you’ve never used a gimbal before. RX100-user Jack Lowe was a first-time gimbal user when he tried the Pilotfly C45 and shared on YouTube (see the video below) that getting the camera balanced was definitely the hardest part. Tutorials from Pilotfly and other users are definitely easier to understand and follow than the written instructions that come with the gimbal. You can control the pitch and yaw with a 4-way joystick or use one of the 5 modes. These are Follow Mode, Pitch Lock, Full Lock, Follow Roll, and +/-180degree YAW rotation for selfies. Overall, the Pilotfly C45 is a very good stabilizer. An adaptive PID-algorithm helps prevent vibration on big angles and 32-bit Alexmos with Triple-MCU technology along with high payload motors with integrated encoders keeps movement smooth and stabilized. As far as over professional-quality cinematography, the C45 isn’t the very best but it’s definitely one of the best for small cameras like the Sony RX100. Ikan’s Beholder MS1 is another gimbal uniquely suited for lightweight equipment like mirrorless cameras and high-quality point-and-shoots like the Sony RX100 III. It has a maximum payload of 860 grams so the RX100 will easily fit. The gimbal itself if really lightweight and compact so it’s easy to pack. Stabilization is achieved thanks to the brushless motors that keep the camera balanced and ensure that movement on the tilt-and-roll axes is smooth. Operating the gimbal is pretty user-friendly. A 5-way joystick gives you 45° Roll and 90° Tilt movement. The three basic modes (Follow, Lock, and adjust Pan-and-Tilt) will cover the majority of what most hobbyist videographers are looking to do. First-time gimbal user Rich Castro said that using the MS1 with his RX100 involved a “learning curve” but ultimately, he was able to create some pretty smooth footage. As you can see in Rich’s video, the most jarring visual moments in the footage come from jerky motion when using the joystick controls. When the gimbal is merely following, the motion is silky smooth. It is possible to create really smooth motion using the joystick but it definitely takes some practice. Just letting the gimbal follow on its own will always create the smoothest footage, though, no matter how good you get at using the joystick controls. The Beholder MS1 features durable all-aluminum construction and it should stay looking great and working well for a long time. On the bottom of the handle, you’ll find a ¼-inch thread mount for attaching it to a monopod or tripod or slider, if desired. If the only camera you use is the Sony RX100, the quick release plate on the MS1 is really nice. Since you won’t need to rebalance the camera each time, it will cut way down on your setup time, making it ideal for shooting in the field. One potentially big negative with the Ikan Beholder MS1 is that it doesn’t do a great job with the wind. You will notice some definite trembling and balance problems with even a moderate amount of wind. For this reason, it’s probably not the best gimbal for you if you tend to do most of your shooting outdoors. With no wind, it’s great but you can’t control the weather. Typically when using a gimbal with your Sony RX100, the gimbal only handles things like the smoothness of motion on each of the 3 axes and the angles therein. With the Zhiyun Crane M, you can actually use a cable to connect the RX100 to the gimbal and this lets you use the gimbal to actually control the camera itself. You can just use the joystick controls to start and stop filming and even do things like zoom in or out. This might not sound like a big deal but it can make a pretty big difference. It simplifies the filming experience and it’s just really convenient. Another cool option is the optional app that lets you control aspects of the gimbal’s operation from your smartphone. This includes some helpful things like Face Tracking and the ability to switch modes during filming. All of Zhiyun’s apps have been known to be buggy, though. 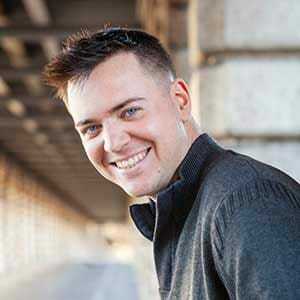 It seems to work really well for some users but others report a lot of problems. The Zhiyun Crane M has a maximum payload of 650 grams so your RX100 is just right. You can get your camera set up and balanced in under one minute which is crazy fast for any gimbal. Better yet, you don’t need any tools to achieve the balance. One potential hiccough when using the Crane M with the RX100 is that the RX100’s tripod socket is a bit off center. That means that when you connect the gimbal to a tripod using the ¼-inch thread mount, you won’t have the same flexibility of rotation. A related issue is that the camera plate and screws run into the gimbal handle so it’s impossible to get the 360-degree rotation advertised on the roll axis. You do get 360-degrees on the other two axes. You have your choice of three different shooting styles with the Crane M, a very useful bit of flexibility. There is the standard one-hand handheld shooting style, the two-hand handlebar style, and the inverted style. Switching between modes is easy. While there are definitely some concerns with the Zhiyun Crane M when used with a Sony RX100, these are outweighed by some pretty big advantages. Vlogger John Chow says that the combo of the Crane M and the RX100 is part of the “ultimate vlogging setup.” When it works, it works really well and some of its special features put it over the top. The fact that this gimbal is pretty reasonably priced makes it even more attractive. However, Zhiyun isn’t known for having very good customer service so if you’re risk-averse, you might want to choose another gimbal. The Zhiyun Smooth C gimbal was technically designed for larger smartphones like the iPhone 7 plus. It will not even work with the Sony RX100 right out of the box. Why should it even show up on a list of best gimbals for this camera, then? Because with a custom made plate, the Zhiyun Smooth C and the Sony RX100 are a perfect match. To get a custom plate, you’ll have to order from a Chinese company. Alternatively, you can commission some to manufacturer one for you. Or if you like to tinker, you can certainly try your hand at making one yourself. While a custom plate for the Smooth C will lead to a really great tool, it might end up being cost prohibitive. The gimbal itself is very affordable but the special mounting plate will end up costing you around the same amount and take quite a bit more effort. If you’re looking for a stabilizer that is affordable and doesn’t require much effort to get working, the Zhiyun Smooth C is not for you. If you have some serious tinkering skills, you can probably jerry-rig a mounting plate for not all that much cost. Combined with the super low cost of the gimbal itself, this might end up being the most affordable option on the market. If you are up for the cost and the challenge, this gimbal does function quite well. There are three modes: Heading Following Mode, Locking Mode, and Heading and Pitch Following Mode. A 4-way joystick lets you adjust the tilt and roll at any time. Although the MOZA Aircross can handle a pretty heavy payload of 1769 grams, it is designed for more compact cameras. This large payload makes it easy to use accessories like external microphones or lights. 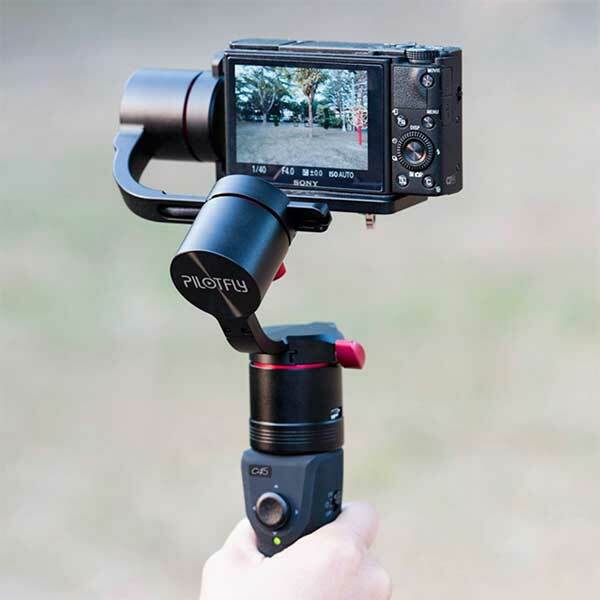 There is a connector thread on the side of the handle for mounting accessories, as desired.The gimbal itself is extremely compact and lightweight as well, making it great for tucking in your camera bag and carrying around for capturing footage on the go. With a battery life of up to up to 12 hours, it will have you shooting for longer than you would be able to with many other gimbals. There is also a 12.6V DC input on the handgrip for attaching a third-party power bank, giving you even more power to keep shooting all day long if you want to. Finally, there is a charging cable included that you can use to charge your camera’s battery from the gimbal’s power source. This is another gimbal that offers an app for added functionality. The MOZA Assistant app lets you do a few neat things. Perhaps most valuable is the long-exposure motion timelapse shooting option. You just set the shutter time, duration, intervals, and path. Also on the app is an auto-tuning feature that uses DeepRed technology like a responsive sensor and an advanced control algorithm. Overall, the MOZA app is much more useful than other gimbal apps out there. It really adds a significant amount of value. YouTuber Andrew does point out that the app has a “weird” interface but that once you figure it out, it’s great. The handgrip features easy two-button control that you use to select your mode or control the direction and angle of the gimbal. There are several shooting styles and modes to choose from, including inverted, re-center, and four follow modes. There is a pan follow mode, the pan and tilt mode, lock mode, and roll follow mode. The roll follow mode is particularly nice, since you don’t see that available on all gimbals. When you press the control button twice, the Aircross enters selfie mode, a nice feature to have. For Sony cameras like the RX100, there is an included cable that you can use to connect the camera and the gimbal. This lets you use both the handgrip and the app to actually control the camera itself. One final option for controlling the gimbal and camera is the separately available Wireless Thumb Controller. This works like a remote shutter but it can also control the gimbal just by moving the remote around. Special sensors react to your movement which the gimbal will then mimic. Setting the gimbal up on a tripod, using the screw thread on the bottom of the handle, and then controlling the gimbal with this remote opens up some cool shooting possibilities. A quick release plate makes it easy to shoot footage on the go, without needing to pause for a lot of setup time. This is especially true if the RX100 is the only or the main camera you shoot with. A nice thing about the MOZA Aircross, though, is that its heavy payload means you can use several different cameras. You can shoot with a lighter DSLR on occasion as well as your lightweight RX100. A dual hand grip is available separately but this can add even more flexibility and control to shooting with your RX100 and the Aircross. For the most value, I recommend buying the package that includes the gimbal as well as the dual hand grip and the wireless thumb controller. This also comes with a few bonus accessories that you don’t necessarily need but can be nice nonetheless, like a polishing cloth, a brush, and gloves. That said, just buying the gimbal on its own at its nice and affordable price is also a good value. You can always purchase these accessories later and you don’t really need them since the gimbal itself and the app let you do plenty on their own. 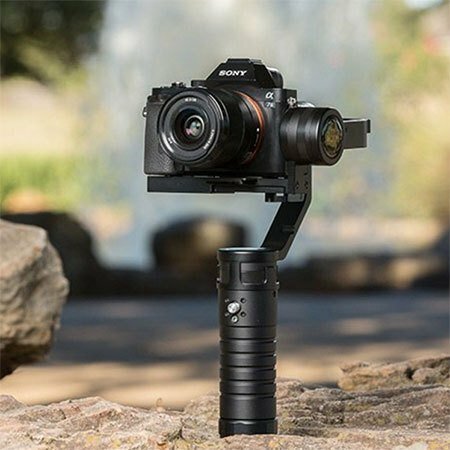 There is no question that when you combine your Sony RX100 with a quality gimbal that is a good fit for the camera, you can create professional-quality video footage. A good gimbal will ensure that your footage is smooth without any of those jarring shakes you get when shooting on the go. Many of these gimbals will also give you all kinds of cool options for getting incredible video that you just couldn’t do on your own. You can truly get some stunning cinematography when you shoot on your RX100 using a gimbal. You can definitely capture footage that is easily on par with a much more expensive DSLR. When choosing the right gimbal for your you and your RX100, there are a few things you should consider. Obviously, the price is one them and you do see a range of prices here. Even the cheapest option on here is decent and a good fit for the camera. If price isn’t your most important factor, you should also consider things like the available shooting modes and shooting styles, whether or not there is an app and whether or not you think that app adds any value, and even the overall aesthetic of the gimbal and what kind of carrying bag or case it has. For some people, the motion timelapse option on the MOZA Aircross will make that be the obvious gimbal of choice. For others, the 45-degree offset angle of the Pilotfly C45 will make that gimbal stand out. 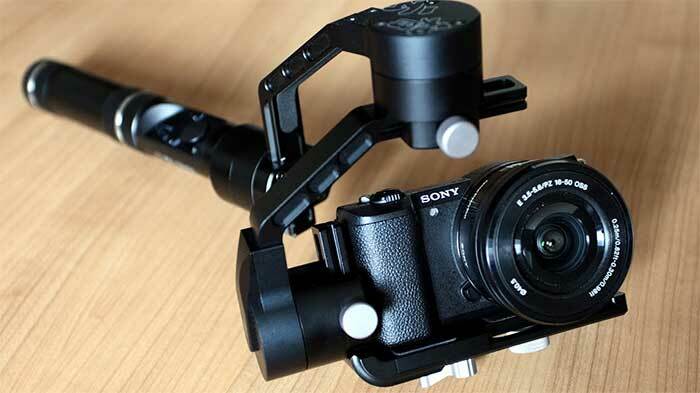 Have you used any of these gimbals with your Sony RX100? What did you think? Let us know in the comments! Also, feel free to ask any questions you might have about gimbals in general or any of these gimbals in particular. Happy shooting! Is there a gimball / selfie stick that can also be used to trigger shots on the RX100 m6? Have you been able to control the record/photo or use the timelapse with the Moza Aircross and the RX100? I have a Moza Aircross and a Sony RX100 IV. One of the included cables fits the Sony A Series cameras, but not the RX100. I bought a mini USB to micro USB to be able to connect the RX100 to the Moza, but so far have been unable to control video/picture mode or the advanced timelapse mode. Have any of you had any luck with it? Other than that, the Moza has been a great gimbal in terms of stabilisation. No need for any accessory for the RX100 to fit. Stabilisation will work fine, but you won’t be able to use the gimbal to charge or control the shutter even if you purchase a compatible cable. Are these gimbals compatible with the Sony HX 80?